Effective waste management will not only save you time, money and effort, but also protect the environment. This is what skip bin hire companies provide – responsible and proper waste management. This said, these companies know exactly what to do with the rubbish. Usually, they take it to depots where the waste is selected and sent for recycling. The proper treatment of the waste is important as it contributes towards a cleaner and safer environment. According to a study done by coolaustralia.org, The average Australian household produces 2.25 kg of waste per day, producing an estimated 140,000 tonnes of waste each year, where only 4% is recycled. Australia is one of the highest producers of waste per head in the world. When you hire a skip bin, you don’t need to worry about separating out recyclables. Not only do some skip hire companies offer a sorting service, they may also allow you to hire a skip based on the type of items you need disposing of. Whether it be soil, bricks, concrete or household waste – even commercial waste and industrial waste can be serviced, you can breathe easy (and cleanly) knowing that your waste is responsibly and professionally managed and recycled whenever possible. Save yourself the trouble of making frequent trips to and from the tip. Skip bins in Melbourne are available to hire for up to three days in a variety of prices and sizes. If you need your skip bin for longer, it will be emptied and returned. The best thing about hiring a skip bin is that you can hire it for the duration that suits your needs. No one likes rubbish build up especially when there’s a major clean-up or renovation taking place. If you want to get that job done and done quickly, having a skip will allow you to simply take the rubbish out the door and into the skip. When and Why should I hire a Skip Bin? If you are looking to renovate your house or have building work done on your property, or if you need to dispose of clutter build up in your home, then you can save yourself time, money and effort by hiring a Melbourne based skip bin. 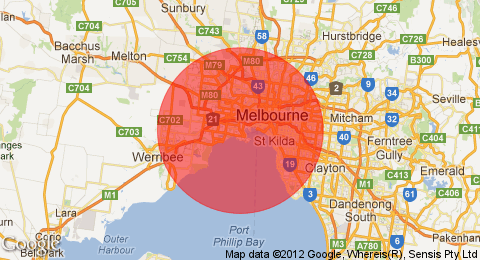 Big Bin Hire is a leading skip bin provider in Melbourne’s western suburbs. Our skip bins start from 4-20m3 and are all walk-in hook bins which makes delivery and accessibility simple. We strive to offer the very best customer service, so call us today to discuss your needs and we will give you the best available price. We accept general waste in our skip bins. We do not accept liquid, hazardous waste, asbestos and full paint tins.